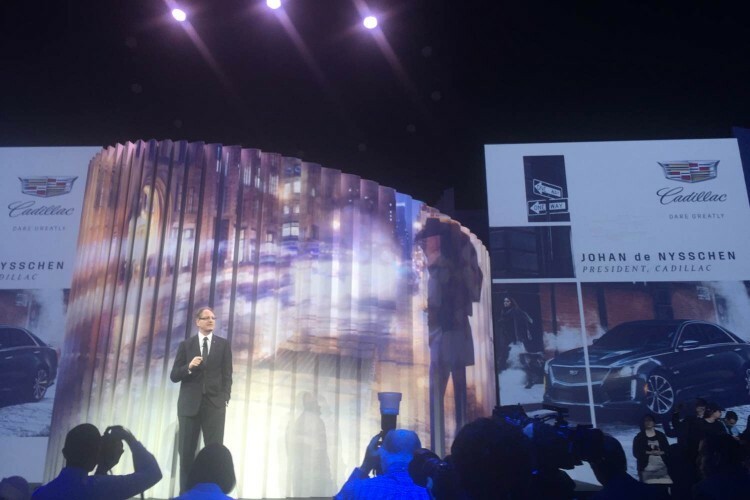 The sight was the historic Naval Shipyards in Brooklyn, New York, and the event was the launch of the all-new 2016 Cadillac CT6 flagship luxury sedan. The CT6 sees the return of rear-wheel drive to General Motor’s luxury division and the car will showcase a host of technology when it arrives late this year. 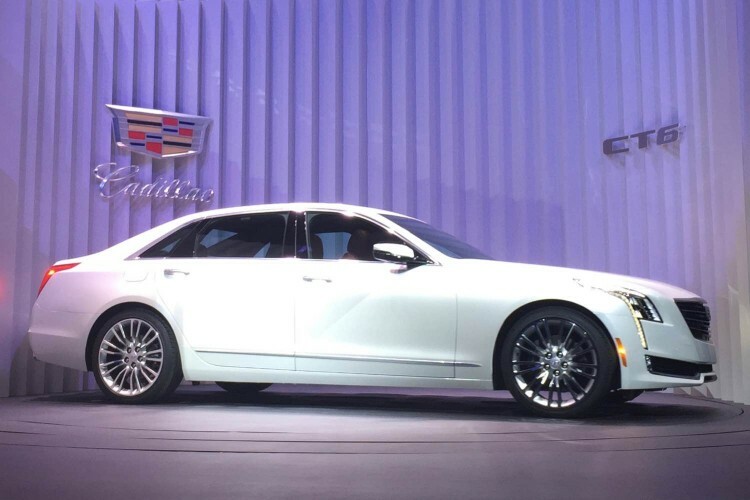 Built on a completely new chassis, the Cadillac CT6 will feature multiple materials in its construction including up to 64 percent aluminum that required GM to develop new bonding methods joining the lighter weight material to traditional steel. 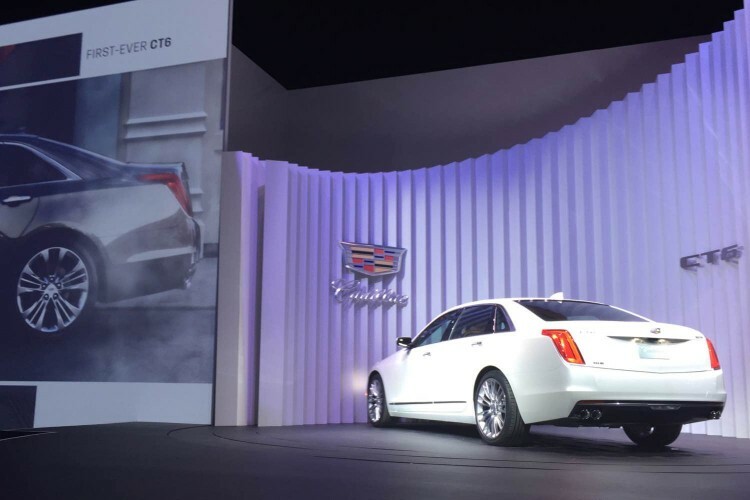 The new sedan will be the largest in the Cadillac fleet and will be offered with three engines and two transmissions at launch as well as all- and rear-wheel drive. For comparisons sake, the new car will be the same length as a BMW 7-Series but weigh less than the smaller Cadillac CTS and the BMW 5-Series sedans. An all-new twin-turbo 3.0-liter V-6 engine leads the powertrain offerings and will be rated at 400hp and 400 lb. ft. of torque. Joining it will be a normally aspirated 3.6-liter V-6 and a turbocharged 2.0-liter I-4. The 2.0 and 3.6 will be backed by six-speed automatic transmissions and the twin turbo unit is mated to an all-new 8-speed automatic gearbox. 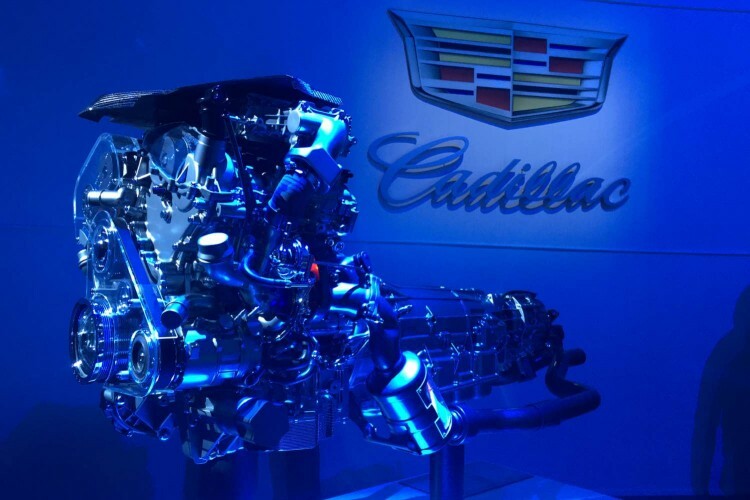 Cadillac calls the new Omega architecture developed for CT6 an advanced performance chassis that will feature Active Rear Steer, Magnetic Ride Control and selectable drive modes. 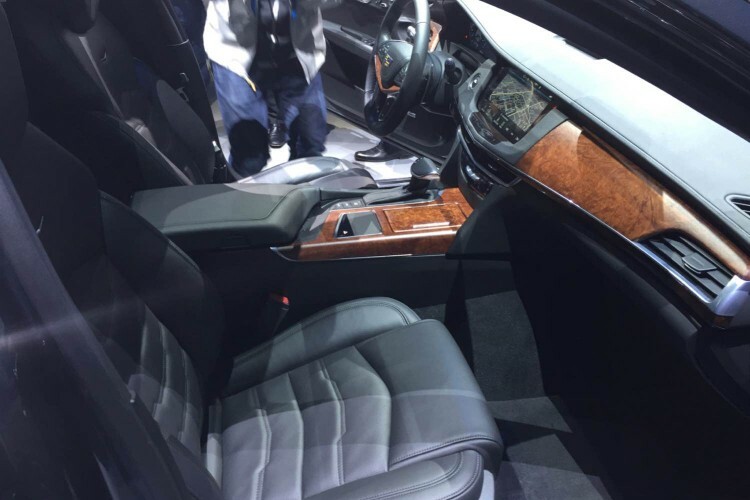 Designers gave the Cadillac CT6 a long and low appearance common with sporty luxury sedans and engineers have included a host of new and updated technologies. 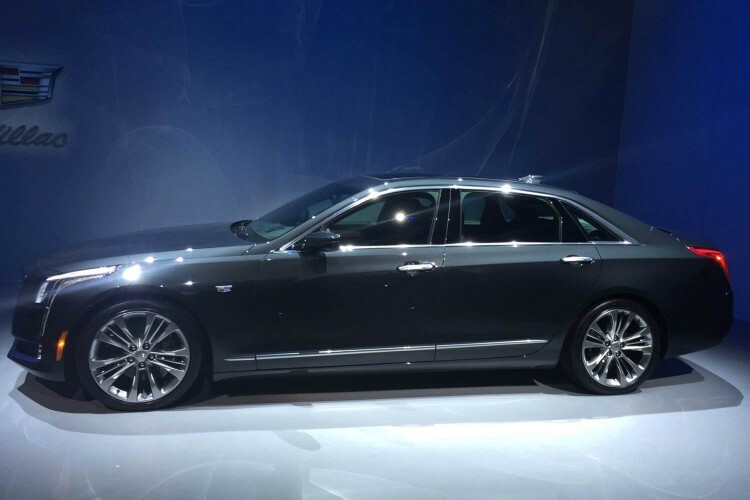 The 2016 Cadillac CT6 will see a new Enhanced Night Vision system and the vehicle sports true 360-degree camera view around the vehicle and features new 360-degree video recording that records front and rear while driving and all around the vehicle any time the alarm system is activated. There is also new Advanced Park Assist that incorporates automatic braking into the park assist system and there is a new pedestrian collision mitigation system. 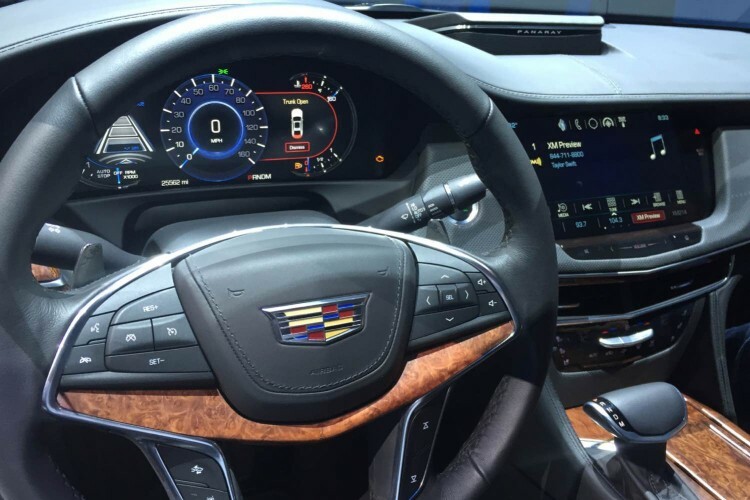 Cadillac has also developed a video rear view mirror for the CT6 that uses the rearview camera image as the rearview mirror display for an unobstructed view in the mirror. What else you ask? How about a large 10.2-inch multimedia display for the CUE infotainment system as well as the new Bose Panaray premium audio system featuring no less than 34 speakers. Rear seat occupants can enjoy new articulating seats as well as quad zone climate control and individual 10-inch infotainment screens mounted in the front seatbacks. 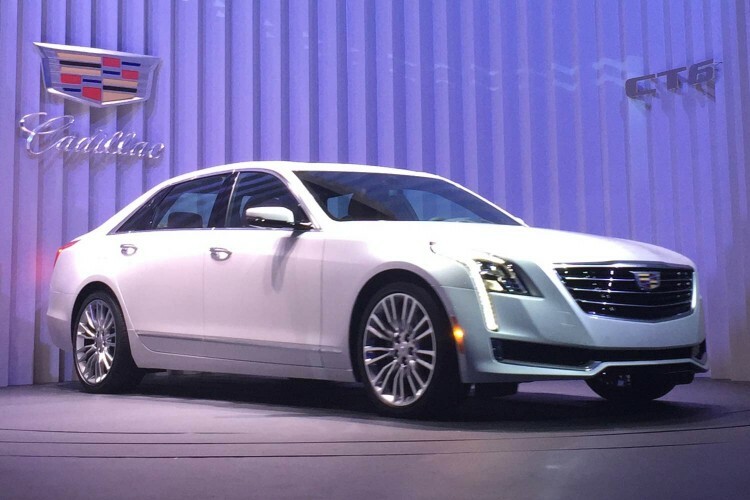 The 2016 Cadillac CT6 is one of eight all-new vehicles Cadillac will launch by the end of the decade and should arrive in dealerships by the end of the year. It will be built in the upgraded Detroit-Hamtramck assembly plant that will support two other GM products as well. 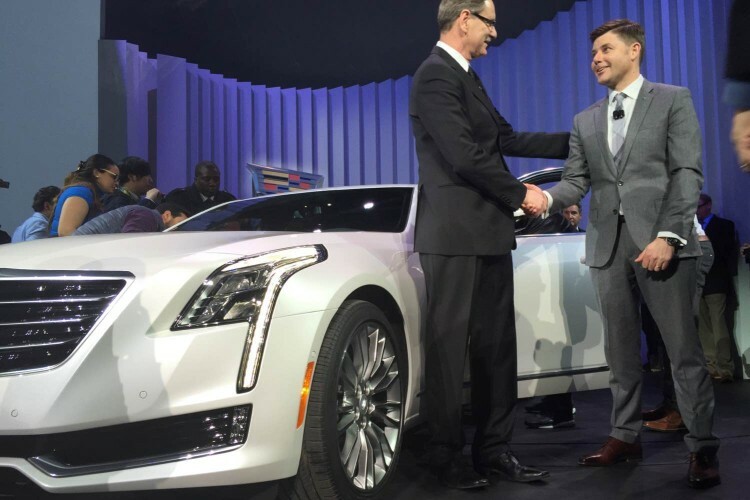 Cadillac says they are back, and back in a big way. 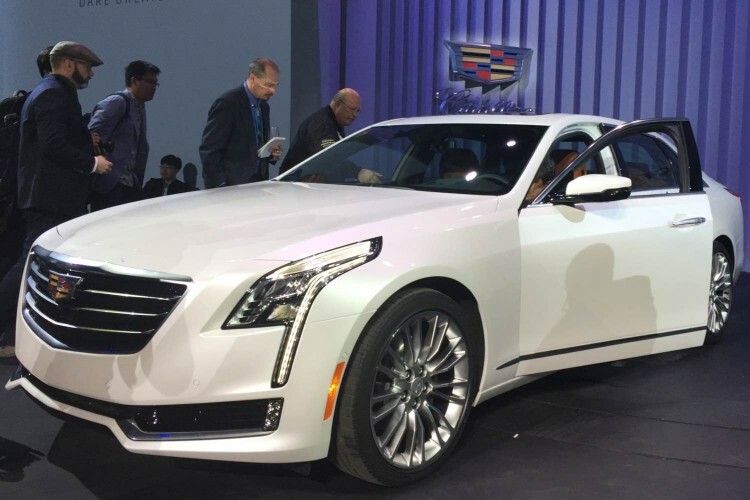 The new flagship 2016 Cadillac CT6 sedan is a very attractive vehicle and we hope it proves that while beauty can be a good thing it is also more than skin deep…much more. Travel and accommodations to NYIAS were provided by GM.